Generally speaking, carpet cleaning should be done more often than other constituents of your home or office. This is because our shoes bring on a lot of dirt and all the dirt from us and our pets gets collected down there. 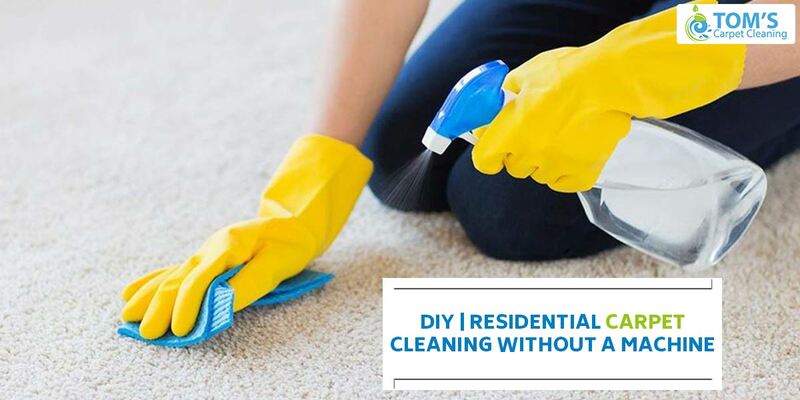 You can get residential carpet cleaning done through dry carpet cleaning, steam carpet cleaning, and other professional carpet cleaning services. You can also get your residential carpet cleaning done yourself with machines and tools commercially available. All of these methods requires a lot of time and resources. Given under is a way how you can get carpet cleaning done when you are short on resources. You can clean a carpet manually as long as you don’t care getting sweaty and all dirty. You can even have a carpet cleaning party. Invite your friends over, that will be fun and productive, both. Get a bucket of lukewarm or warm water and put a little of natural cleaning agent and soap in it. Make sure to not put a lot in it or the soap will never come out. People most preferably use of dish detergent. Now dip your brush in the bucket and scrub with a little water on the floor, just enough to get the carpet a dampened and moist. Start to rub or rag with a cloth or anything handy, for e.g. terry towel rags. Do the carpet cleaning on a relatively less moist or humid day. If that is not something which is possible, turn on a fan until it’s all dry. It is preferable to dry at night so it has an entire night to get dry and also no footsteps on the floor helps the cleaning process. Enjoy your clean carpet almost as good as new, unwind in your now tidier home to relax the burn in your arms came from all the carpet cleaning.